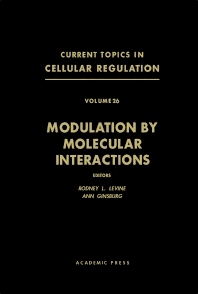 Current Topics in Cellular Regulation, Volume 26: Modulation by Molecular Interactions covers various aspects of biochemical regulation that were presented in the International Symposium on the Molecular Basis of Cellular Regulation held at the National Institutes of Health on May 3-5, 1984. The book discusses the coordination and control of cellular metabolism and function, focusing on modulation by molecular interactions. Biochemists, molecular biologists, geneticists, microbiologists, and physiologists will find the book invaluable.